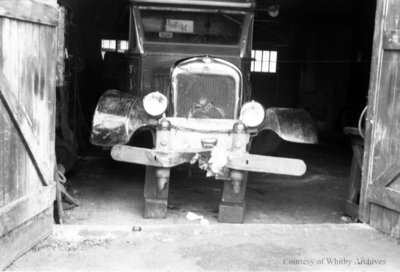 A black and white negative of a car that is raised up on blocks. View is of the front of the car without the front wheels. Car Wreck, c.1937, Marjorie Ruddy. Whitby Archives A2013_040_133C.